If you’re seeking a luxury SUV near Albuquerque, Rio Rancho, or South Valley, you’ll find a large selection at Land Rover Albuquerque. Plus, we’ll help you decide if leasing or buying a car is right for you. Continue reading to learn all about leasing and contact us to help you lease a great new car today. There are several reasons why you might want to consider leasing a Land Rover. First, leasing is a terrific way to enjoy a brand-new automobile every few years. This is especially great if you love playing with the latest technologies. You may also benefit from leasing with regard to your overall payments. First, if you lease an automobile, you usually put down a small amount, if anything at all. Plus, your monthly payments may be lower than if you were buying the car because you’re just paying for the car’s depreciation. 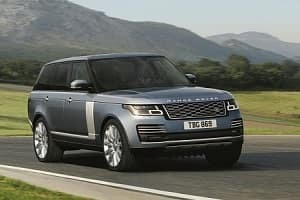 We have many Land Rover leases available on new vehicles, including the Discovery, Discovery Sport, and Range Rover Velar. One of our staff members will take you around our showroom, so you can see what vehicles we offer. We’ll even let you test drive a couple models to determine which one is right for you. After picking out your new ride, head over to our finance center to meet with one of our experts. They’ll go over the various Land Rover and Range Rover deals we have available. Plus, they’ll help come up with a lease plan that works for you. After everything is said and done, you’ll get the keys to a new luxury vehicle. Then, just return it to the dealership after a few years for a new lease. It’s as easy as that. At Land Rover Albuquerque, we’ll work hard to make the leasing process as easy and streamlined as possible. 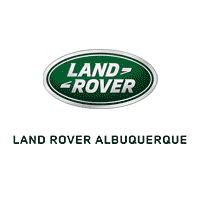 So, if you live near Albuquerque, Rio Rancho, or South Valley, contact us to lease a Land Rover or Range Rover today!